This is just toooooo much!! I knew the world would go crazy once Bey and Jay had a child together, but I didn’t think they would receive so much disrespect. 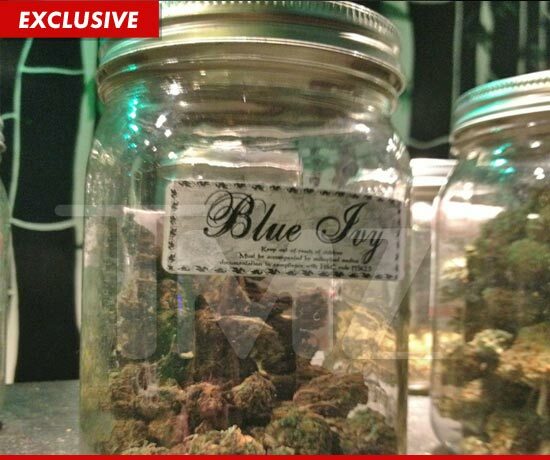 According to TMZ, weed dispensaries in Los Angeles are selling a new strain of marijuana called “OG Blue Ivy.” A medical marijuana dispensary called 661 Medical in Rosamond, Calif. promoted the new strain by tweeting on Jan. 12: “#newstrain #newstrain #newstrain IVY BLUE OG #kush $20 gram $55 8th #newstrain” Beyonce and Jay-Z don’t have a trademark on their daughter’s name and so far the stores haven’t received any sort of legal notice from the couple. If I were them I would trademark her name because people have zero behavior. Like, how long have these two words been around and NOW since they name their child “Blue Ivy” this is the name they decide to use for WEED? SMH…I can’t.